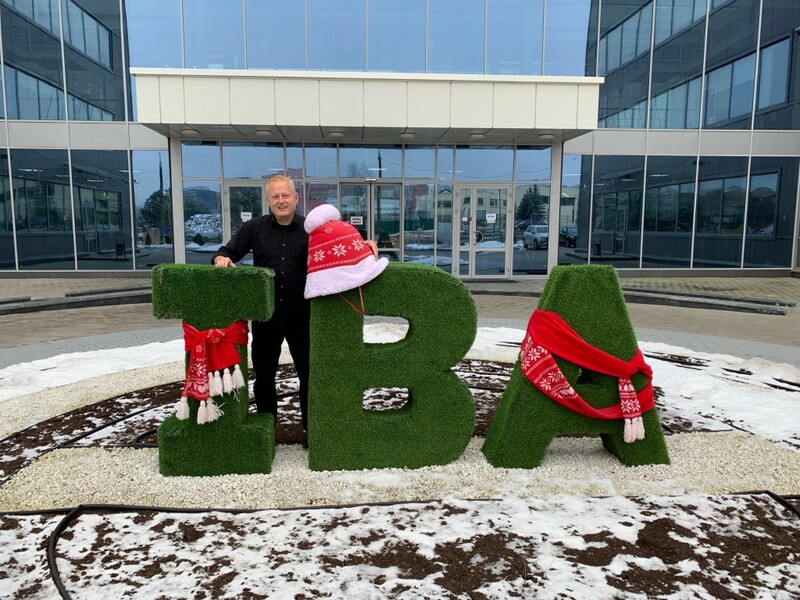 I visited IBA Group just a few months ago and one of the most interesting interactions I had during my visit was with Dmitry Konevtsev, the SAP Department Director. In my own experience, attitudes to Enterprise Resource Planning (ERP) systems such as SAP have changed dramatically in the past few years. Systems that were once essential and heavily invested in have proven to be failures for the business. The reputation of ERP has been in decline, but what are real companies doing with ERP today? Dmitry explained how IBA has experience across many different industries, including oil and gas, railways, and telecommunications. ERP is an important tool across all these industries and although the media image of ERP installations has been largely negative in recent years, the reality is that many companies still require ERP to manage complex logistics and supply chains. The idea of a digital twin is a concept that many industries are growing, especially as Internet of Things (IoT) sensors become more common. The digital twin has been common in the aerospace industry for many years – an engine manufacturer such as Rolls Royce will maintain a digital version of every engine they deliver and it is updated in real-time from the real engine using a stream of data from sensors, capturing a complete digital twin of the real engine. Tools such as SAP can deliver this concept for other solutions. Dmitry showed me an example of a building management system. Now I am not an expert on managing buildings, but I can imagine the complexity of managing every single power socket, lightbulb, fire extinguisher, window, and door in a large building. It used to require pages of maps and floor layouts in addition to constant inspections. Now the entire building can be coded into a graphical interface so the user can see everything in 3D on screen and sensors all over the building feed data into the SAP model. A fire extinguisher can send an alert if it has been used and is now empty. A power socket causing a circuit to short out can be identified the moment there is a problem. The model I saw looked stunning because the graphics resembled a video game – maintaining a building like this would clearly be far more efficient than the old system of only fixing problems after they happen. With real-time monitoring and sensors, some problems can be predicted before they happen – and then prevented. It is clear that ERP has evolved. The integration of IoT is allowing ERP to not only represent process flows, but also to predict and make changes. We are now in an age of intelligent ERP and the failed installations of the past can now stay in the past. Solutions like digital twins using SAP are demonstrating that there is a bright new future for companies ready to explore how ERP can help them to redefine and manage their business processes. For more information on the SAP team at IBA Group click here. What Can We Really Expect From RPA in 2019? I wrote recently on this blog about my surprise at how sophisticated the RPA solutions offered by IBA Group already are. As I mentioned, they are offering solutions that are far from the typical vapourware offered by some IT specialists – they already have genuine case studies using all the major RPA platforms. So to take this theme forward a little, how is the RPA market doing? You will have seen many bullish predictions, but a couple of reports from Forrester Research and RPA software specialist UiPath caught my eye. That’s strong support for RPA in 2019, but Forrester also notes that we are now reaching a tipping point for automation. The Forrester argument suggests that we will now start expecting professional employees to be augmented by automation. This alters the workforce and drives companies to focus on customer value. In fact, this is a common theme in talks that I have given on automation. I believe we will see this being a much more pervasive change in the way that professionals work and are hired for their jobs. At present we still see RPA as a function of the technology department, but soon we will see job adverts on LinkedIn for HR professionals, credit analysts, and accountants all asking that the applicants have relevant RPA coding experience – that’s going to be quite a change. · Government adoption will soar; governments always need to do more than less so they will be quick adopters of RPA. · Less focus on headcount reduction; the focus for RPA will shift from saving cash to improving employee engagement and how employees work. · Death of BPO; controversially they also predict the end of Business Process Outsourcing because RPA tools allow internal teams to create their own efficiencies. · RPA blended with AI; put them together and you can create a wave of new intelligence – they each help each other. · Growth will be bigger than you expect; despite many analysts predicting strong growth for RPA, the team at UiPath says it will be bigger than you expect in 2019. I think that both UiPath and Forrester have some interesting insights here and I tend to agree with them both. I believe we really are at a tipping point and the effect will go far beyond the technology team. The adoption of RPA will affect just about every professional employee and will demand that they start adopting new skills and methods. This is why UiPath can speak with such confidence. If the analysts are still focused on the ability of RPA to redefine processes that are defined by the CIO then of course there will be growth, but if we start to see every single business process being redefined and automated then the current growth projections will be nowhere near large enough. Let’s see what 2019 has in store for us all! How Will Platforms Develop in 2019 – Especially Cloud? One of the biggest changes in recent years in the IT market has been the use of platforms to deliver solutions. Software development may have moved on from the old waterfall style developments to agile delivery models, but many projects still required analysts to design solutions, developers to build them, and engineers to then deliver the product. 1. Cloud; the ability to use a system remotely without local hardware or storage requirements and usually charged on a pay-as-you-use basis. 2. App Store; developing systems for Android or iOS and releasing them to the App Store allows software to be globally distributed instantly. 3. Social and mobile; the success of games such as Farmville or Mafia Wars has largely been because they were designed to be social – play is integrated into social networks such as Facebook so friends can actively engage with your game or compete with you. These are all major changes to the way that software is designed and released. Not least, one of the biggest changes because of these platform adjustments is that business line heads – rather than the CIO – will make decisions on new IT systems. If the IT tools can be delivered without affecting the infrastructure of the client company then this is much more likely. In particular, the cloud is changing how enterprise systems are delivered. Business users can pay for systems on a subscription basis without the need to plan for infrastructure and this is radically transforming how many companies see their use of IT and supportive software systems, such as ERP or CRM. 1. Multicloud; AWS, Google, and Microsoft are the cloud giants and all have their strengths, but many companies are now exploring how to reduce their reliance on a single cloud supplier – for security, resilience, and to gain advantages from the strengths of each one. 2. Migration; it will be more common to migrate across different clouds to take advantage of deals or strengths from specific suppliers. New tools will make this much easier. 3. Governance; many companies still have fairly weak rules governing their cloud use and this will get stronger in 2019. These are interesting points and worth noting. It has never been a good strategy to get locked into a single IT supplier and now we are seeing the same caution with cloud suppliers. 2019 will not only be a year of opportunity for various platforms, it will be a year where we start auditing how these platforms are being used. From January 24 to January 25, IBA Group hosted the Rocket.Build Local 2019 – Minsk, Belarus hackathon. For the first time, the annual event took place at the IBA Group’s High-Tech Park campus. Rocket.Build is a Rocket Software’s annual hackathon. This event brings together engineers and programmers from around the world to work in teams to develop new products that help Rocket customers solve their business and technology challenges. IBA has been cooperating with Rocket Software since 2016, the primary area of cooperation being mainframe products. Rocket develops products in diverse fields, including analytics, networks, data, storage, and enterprise software. The firm’s products are designed to run on mainframes, Linux/Unix/Windows, IBM i, cloud, and hybrid/virtualized systems. IBA Group specialists who are involved in Rocket Software projects took part in the hackathon. All 90 participants were divided into teams, each team consisting of two to four members. The teams came up with 26 various ideas to solve production issues. Having finished working on projects, the participants presented their ideas to the customer. In a strictly limited three-minute presentation, the teams had to convey the value of the proposed solution to the audience and the customer, and to demonstrate its functionality. Anjali Arora, Chief Product Officer at Rocket Software, chose the winner of the main prize, the CPO Award. The winning team is expected to travel to Boston to participate in Rocket Build Global to be held from June 9 to June 13 at Rocket Global Headquarters. In addition, a peer voting was held at Rocket.Build Local 2019 and three teams were selected as winners. The hackathon was a delightful event for IBA Group employees, giving them an opportunity to demonstrate their skills in a friendly and innovative atmosphere. Cloud computing has transformed how the enterprise uses both storage and applications. Local storage is no longer a requirement with remote server farms immediately managing any requirements and applications using cloud resources to cope with heavy loads – such as online retailers on particularly busy shopping days. All these benefits of the cloud have become normalised, but could we be achieving more with cloud-based services? A recent feature in ZDNet suggests that we can – digital transformation. Most enterprises view digital transformation through the lens of a change in business model, for example a retailer with a focus on in-store sales shifting their attention to apps. However, the ZDNet research shows that enterprises with a requirement to quickly change business model or offer an improved digital service could be more effectively exploring cloud-based services. The research group IDC claims that spending on digital transformation in 2017 topped $1.3 trillion, so this is a market where a lot of enterprises are spending, but are they getting the best value and results from that investment? The problem in many cases is that the technology makes the problem look simple. The cloud, Big Data, the Internet of Things (IoT) – on the surface all these technologies are easy to understand. Executives can sit in the boardroom and proclaim that we need a business strategy that builds on the IoT, yet it is one thing to declare that you want to use a certain type of technology and another to figure out how to make that an integral part of your business in a way that delights your customers. This is where ZDNet believes that a focus on the cloud can pay dividends. Too many enterprises do not have an efficient or well-structured IT department. There are disparate apps spread across different storage facilities and no easy way to share and analyse data across all the business applications being used. Rather than focusing on technology-led solutions, such as what can we do with AI or the IoT, it makes more sense to fix this central core of the organisation by using cloud-based services. Fix the platform and your applications and data use will naturally transform. Secure cloud access is a proven technology and it is simple to deploy if you hire a good partner with cloud expertise. The initial focus can be on storage, but you can build out from there to centrally manage business applications and data. This approach can drive digital transformation in your business, not because it is a radical change to manage storage or apps in this way, but because once you organise your systems around this central core, with strong business application support and the ability to share data across systems, you will be able to quickly design new solutions that could only ever work in this environment. Sometimes it is better to build the platform and let the solutions arrive through innovation, rather than trying to build the solution on day one. Once you have a platform in place that allows data sharing, then the ideas will flow and your teams will automatically start exploring digital transformation options that are driven by business needs – not just technology. IBA Group has been exploiting the capabilities of cloud computing, as well as other CAMSS technologies (cloud, analytics, enterprise mobility, social media, and security) to provide end–to–end business transformation services to our customers. In 2015, IBA Group opened its data center that offers various types of cloud services, including IaaS (Infrastructure as a Service), PaaS (Platform as a Service), and SaaS (Software as a Service). I recently visited IBA Group in Minsk and I had the pleasure to speak with Andrei Lepeyev, the director of software development at IBA Group. As someone who studied software engineering at university myself, I’m always fascinated by the way that platforms such as cloud computing and the app store have changed what it means to deliver software, so it was really great to catch up with Andrei. You can hear our conversation on the CX Files podcast by clicking here or search your favourite audio podcast provider, such as iTunes, Spotify, SoundCloud, or Stitcher. Because we were focused on CX we talked about some of the technologies and systems that Andrei is working on that have a direct impact on the quality of CX for the clients of IBA Group. I had initially asked Andrei about how Artificial Intelligence (AI) is being used to predict customer behaviour, but he explained to me that IBA has gone further and created a product called APPULSE that offers a complete Level 1 and 2 support service for mainframe computer systems. Andrei was talking about the importance of keeping mainframes running because they are often overlooked by most customers, yet your bank will be relying on those systems to be running if they want to offer a 24/7 online banking platform. Ensuring that the system can heal itself before problems even happen is an enormous improvement in the way that a traditional IT support operation would run – fixing problems only after they have caused a problem. That’s always a disaster for customers who need service now. One of the big trends for 2019 in CX will be Robotic Process Automation (RPA). Andrei explained to me that IBA Group has delivered implementations all over the world using the top four RPA platforms so they are not just riding a wave of RPA hype, they have real customers and case studies from numerous countries. But I asked Andrei how they choose the best platform for different customers – is the software really very different? Andrei mentioned Machine Learning when describing the mainframe support system and I asked him about the popularity of this in 2019. Are more and more customers asking how to make their systems learn about customers and systems automatically? My conversation with Andrei provided a great insight into how some of these technologies are really affecting the customer experience. A large amount of media coverage is just hype, but as Andrei demonstrated, there is a great deal of substance here. These technologies can deliver game-changing systems, but the companies using them to interact with their customers need to have great products and services – it is not the use of an RPA or AI platform alone that will help them to be more successful. To listen to the CX Files podcast featuring Andrei Lepeyev from IBA Group, click here. When I recently visited IBA Group in Minsk I was expecting to hear about their Cloud Computing solutions and some of their more recent developments in Machine Learning, but I was surprised to hear exactly how developed their Robotic Process Automation (RPA) expertise is today. I was surprised because their approach to RPA is not typical. They have experience of delivering real projects to real clients in multiple countries using the top 4 RPA software platforms. Now contrast this to the typical RPA story in the media. Robo-bosses, robots taking over, and other mentions of robots replacing humans. When reading about RPA we usually read hype and grand claims of digital transformation, often from experts or IT companies with very little track record in this area. Yet IBA has been quietly developing expertise in all the major RPA platforms all over the world and there is no hype at all. They have just been getting on with the job. RPA is now (almost) a $2bn a year marketplace and it’s growing fast. This area of business is only going to get more important as we move into 2019. HFS predicts that we are looking at $2.3bn revenue in RPA technologies in 2019 and this will grow to $4.3bn by 2022. Traditionally HFS has been the least bullish of the analyst community. For a long time they criticised analysts such as Gartner for hyping the RPA market, but now even the HFS predictions look exciting. Gartner predicts that spending on RPA software is growing around 57% year on year, which is a phenomenal increase for any market, but what is really interesting is how all the analysts seem to be agreeing that RPA is no longer in the Hype Cycle and is now being accepted as a regular business process automation tool. Even the forward projections of Gartner to 2022 feature year-on-year growth of 41% – RPA has arrived. When I arrived at IBA, I never expected to hear such a solid RPA success story – case study after case study of real RPA deliveries. I did a detailed interview with Vjacheslav Mikitjuk, director of Internet Technologies, that I intend to publish in the new year. The RPA world is full of hype. HFS Research has been a vocal critic of the RPA hot air and fake news for the past few years, but even they now acknowledge that there are real solutions being delivered that are adding value all over the world. I witnessed this up close when I went to visit IBA Group and it was not even something that I had expected. They have kept their RPA expertise fairly quiet, but I’m hoping to change that in 2019 by telling the world what they have been doing. What Does Your Digital Core Look Like? The life of the CIO has been like a roller coaster in recent years. The strategic importance of information was probably only really appreciated in the 90s, when the CIO became a more common term than IT Director. It was then that the value of the information, and what a company did with it, became more important than the technology itself. But in recent years, the CIO has seen cloud-based systems take over. So long as business teams had access to the Internet they could subscribe to pay as you go business services offering everything from CRM to ERP to data storage – software as a service. It seemed like the IT department was offering little of strategic significance for many companies, other than ensuring the business teams can access their Internet-based services. Now catch up into the present and it seems that some organisations are thinking again about their IT infrastructure because the strong core approach is becoming a popular way to approach the way that technology is organised inside the enterprise. But what is the core, beyond just offering a secure network? The core approach offers security, but also APIs into all business applications that the company uses, a single way to share data across applications, and a stable environment where automation/bots and tools such as Robotic Process Automation (RPA) can be applied. In short, the enterprise creates a core for data and applications and benefits from being able to share data across teams. This also offers the opportunity to automate processes and create efficiencies that are impossible if each individual department is just deploying cloud-based business solutions. The digital core should in fact be a core for driving improved customer engagement with the business. By creating opportunities to manage enterprise data more effectively, insights can be created and customers can experience a far more personal service – the enterprise finds efficiency, but the customer experience is also improved. Building a core requires a consistent approach to building a central platform, sharing APIs, applications that can work together, and data that can be shared and analysed. It requires an enterprise-wide approach to managing data and applications, which sounds a bit like the old days of central control from the CIO office, but the insights and efficiencies that can be achieved from this approach should outweigh any loss of autonomy for individual business units. In fact, individual business managers can continue to select and deploy their own software solutions so long as they can be plugged into the core system. Flexibility should still be promoted. We are moving back to an environment where the CIO matters once again. Have you explored the core in your own enterprise yet? I mentioned in my last blog that the very nature of jobs and employment is changing today because of emerging technologies such as Artificial Intelligence (AI). Tools such as AI in business application support, are fundamentally changing how corporate processes function – and this changes the skills that people in professional jobs need. This change is prevalent throughout many parts of the modern organisational structure, but the most important area of change is probably enterprise decision support. The problem is, how do we get from here to there? Many organisations are overrun with data. They have so much that they just don’t know what to do with it all. Some have tried to focus on data analysis, creating a data-driven approach to their business, but even those who have moved in this direction need to rely on the skills of their data scientists to try turning data into information. As data analytics evolved, it was clear that enterprises were changing from a backwards-facing approach where they analysed past events and described what happened, to an ability to be predictive – trends and patterns that help to predict future behaviour could be found. A similar change needs to take place in enterprises using AI today. Today, the possibilities for AI-enabled decision-making are more prescriptive, with AI providing enterprises not just a look into the future, but also key diagnostics and suggestions on potential decision options and their payoffs. Such highly evolved applications of AI can help businesses make decisions that can potentially exploit more business opportunities, while averting potential threats much earlier. This is the real opportunity for AI in the enterprise. To create the opportunity for automated decision-making, but where the system is designed to learn, unlearn, and relearn as often as required. Insights from automated AI business application support should be powerful because the system is trained to learn where insights may be found. I believe we will be seeing many more AI business application support systems in future – its no longer a technology of the future. These are systems that are already installed and in use in enterprises globally – have you explored what AI can do for you and your decision-making processes? When Will Your HR Team Start Learning To Code? There are technologies and systems emerging, such as AI in business application support, that are fundamentally changing how corporate processes function – and this changes the skills that people in professional jobs need. Employees need to become comfortable with the idea of AI delivering performance feedback, personal development, coaching and evaluation. This offers many advantages to both employee and employer, but it can still face resistance by some employees, especially when they feel it will change their job. Forbes magazine recently published data from a study by the Center for Effective Organizations at USC Marshall School of Business. The study suggested that only 37% of employees would share innovation or automation ideas if they believed they would have to do different work as a result of such technology being implemented. However, when employees believed the technology would help make their job better, 87% of them said they would share innovation ideas with their employer. Both AI and employees will help companies to reengineer their processes, but with AI exploring how to optimise systems there is an opportunity to change processes without the natural reluctance of the employees. Remote working is increasingly a reality in many industries. Customer service companies are now actively promoting the Work-At-Home-Agent model instead of increasingly large contact centres. Companies with a large number of home-based employees can dramatically reduce costs for office estate and more easily scale up and down as the business requires. The need to create tribes is partly related to the trend for home-working, but it is also linked to our increasing use of social networks. As we see people less in real life and more in virtual spaces, such as social networks, it becomes more important to be more methodical about socialising – both in person and virtually. All these changes in the way we work are related back to the increasing intelligence of systems that can help us to perform more effectively at work. We are now reaching a point where coding skills are becoming useful for employees in almost any professional job – accounting, HR, and law companies will all be using AI business application support and this means that professionals need to learn how to manage their virtual tools. A great change is coming soon. It’s not that every job will vanish as many are automated, but those that remain will become more interesting and more technical – the HR team needs to start coding soon! Digital Transformation today can mean a lot more than just changing the way your brand delivers a service online. In many cases, companies many need to entirely redefine their business model to keep up with a changing industry that is being shaken by new market arrivals and constant innovation. In some cases this means old brands die and new ones takeover the market. Instagram is a good example. The entire business of taking and sharing photographs is completely different today and the entire infrastructure that involved cameras, films, and development facilities has almost entirely disappeared in the last 5-10 years. However, in some cases a digital transformation can mean a completely new way of working inside a business that, on the surface, appears to be doing what they have always done. This Forbes case study of Lufthansa Technik Logistik Services (LTLS) is a good example. LTLS provides logistics, transport, and warehousing services inside the airline industry. LTLS is itself owned by Lufthansa Technik, which provides maintenance, repair, and overhaul services for airline engines. On the surface these businesses sound like traditional engineering and logistics companies that exist to help keep airlines flying safely. This remains true and nothing has changed in that regard since LTLS started a major digital transformation project a year ago, but there are some areas of process that have changed dramatically, especially around warehousing. Around half their revenue comes from their warehousing service so any way that innovative digital technologies can help to improve these processes will directly impact on the success of the business. LTLS has implemented nine different projects all focused on assessing digital technologies. These include: using optical character recognition in combination with AI software to automatically fill in input screens and eliminate paper in the receiving department by scanning 10,000 documents each day; smart, light weight, gloves with 2D scanners that allow for hands free picking; integrating their warehouse management system to smart watches; and the use of mobile logistics robots to reduce worker travel. One of the critical aspects the LTLS highlight about their own digital transformation is the cultural adoption of new processes. They tested the robot technologies in warehouses by buying a single robot and testing it alongside the existing processes, building cultural support for a complete rollout and replacement of the old practices. This is where your approach to culture can be critical. Not every digital transformation springs from nowhere and transforms the industry overnight. This can happen, as we have seen, but most plans resemble the LTLS approach. There is a clear need to improve the way the business functions and digital technologies can help to transform the business processes – there is a clear sense of where we are now and a future state for the business. In all these transformations you will require the team to support the changes being proposed, or the implementation is likely to fail. LTLS were smart by slowly introducing changes that could work alongside existing processes and the workers could quickly see how their life would be improved if robots did most of the heavy work inside the warehouse. It’s an agile approach that not only allows for support to develop, it allows for process errors for be fixed during the implementation and avoids the potential disaster of switching from one system to a new one and finding that it is full of errors. Clearly this approach is worth some extra consideration by any executive team currently studying the opportunities for digital transformation in their business. Can Your IT Deliver Great CX? Take a look at what the industry analysts are all saying about customer experience (CX). It doesn’t matter which industry you are focused on, it is typical to see that improving CX is now considered to be one of the most important strategic priorities – often it is more important than the more traditional revenue maximisation and cost reduction strategies that most CEOs focus on. But when you explore what CX transformation really means, it is clear that modern CX is largely supported by IT systems. To create a modern CX environment requires not only a major investment in IT and communication systems, it requires an understanding of these technologies and how they can blend with your people and processes so CX is improved. Moving from websites to apps – it’s no longer enough to have corporate information on a website. If you really want to interact and build a relationship with customers then you need the interactivity of an app. Moving from Web Content Marketing to Artificial Intelligence (AI) – online content is great for brands, but AI will allow brands to automatically share relevant content and to build their content library automatically. Digital Asset Management (DAM) moving from a static repository to the centre of your digital assets – instead of just tracking all your digital assets using a spreadsheet, create a culture of sharing every digital asset, even photos and videos, and utilising the DAM database as a key asset throughout the business. Moving from data use to help the marketing team to predicting what the customer will do next – don’t just use data on customers for marketing mailshots, study their behaviour and figure out what they will do next by using predictive data analytics. Personalisation based on strict rules moving to AI – Machine Learning and AI allow you to get much closer to customers by creating a completely personal experience, not just the same experience every customer has. More and more customers are already insisting on this as an expectation. Robotic Process Automation, Virtual Reality, Augmented Reality, Machine Learning, Artificial Intelligence, Cloud delivery and Data Analytics. The list could go on. All these emerging and complex technologies are being deployed in solutions that are specifically designed to improve CX, but as this list suggests there is also a need for executives to think beyond what they knew as cutting edge two years ago. When selecting a technology partner for a CX initiative you should keep in mind that they need to have expertise in the specific technologies you want to deploy, but also talk to their team about how they see these technologies evolving. CX is driving so much investment into these technologies that none of them are static. You need to consider how best to plan for a solution that delivers today and can flexibly grow with the business in future. The technology industry is in an interesting place right now. Industries across the world are facing a wave of digital transformation that is often redefining their entire business model and value proposition. In addition, the increased strategic focus on customer experience (CX) as a boardroom priority is creating a wave of investment in emerging technologies. There has never been a better time to be closely connected to the IT industry because IT is redefining so many industries at a scale that nobody has ever seen before. Customer expectations have changed dramatically in recent years meaning that companies need to deploy every tool possible to increase both sales and loyalty. The Business to Business (B2B) environment research by Salesforce shows that 80% of customers are influenced by the way that a company is able to understand their individual needs. There is a clear need for organisations to explore how digital transformation and the use of more innovative technologies can create a better experience for their customers. 1. Bots; intelligent chat bots are able to handle simple customer questions automatically deflecting calls that would need to be answered in a contact centre. 2. Automation; the use of Robotic Process Automation (RPA) to automate manual processes makes life easier for employees and increases productivity. 3. Data Analytics; the ability to personalise service for customers because the system knows exactly what they like, when they like to buy, and which channels they prefer. Companies can use data insights to show their customers that they understand exactly what the customer wants. 4. 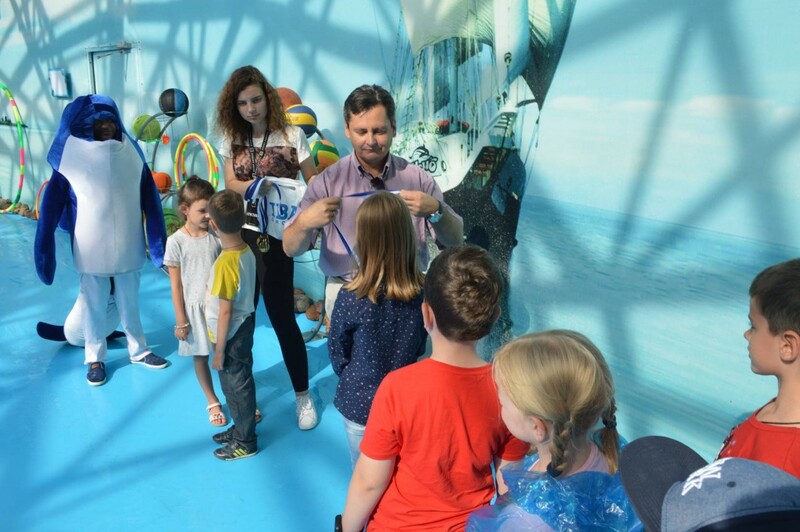 Immersion; Both augmented and virtual reality systems are being used for solutions such as allowing customers to experience a luxury hotel before booking and how to find products inside a store. 5. Self Service; customers are increasingly searching for help online before ever asking a company for help with their products so there is an increasing need to create intelligent content that answers customer questions in locations such as Google. It’s clear that the combination of increasing customer expectations and the emergence of these new technologies is driving a wave of digital transformation. More than ever, companies are turning to their technology partners for answers. Technology is no longer just a service that supports the business, technology is rapidly transforming how organisations function and redefining business models. Technology is rapidly becoming the most important driver shaping how organisations function and define a business model today. Digital transformation is a business strategy that has been increasing in importance in the past few years. The ubiquitous use of smartphones, access to fast mobile Internet, and the app store concept have all combined to create a platform where established companies can offer online services and new companies can go to market with innovative ideas extremely quickly. In some industries, such as financial services, there is an arms race taking place. New companies are launching services that are free of the technical legacy a large company, such as an international bank, needs to manage. Freed from many of the traditional requirements – such as a chain of retail branches – these new services can offer better prices to customers and be entirely designed around the needs of the customer, not the legacy systems of an established company. It’s clear that companies across all industries need to be exploring how digital tools can improve their service to customers, but digital transformation projects can be risky. If a company bets on the wrong type of service then they can quickly become irrelevant in their own marketplace. Alternatively, if a company fears the complexity of a major digital transformation and delays investment then they may find that entirely new market entrants steal their customers by offering a more customer-centric product. 1. Leadership; is the company leadership really supporting change? 2. People; does your team have the skills you need? 3. Agility; are you able to change plan during the transformation? 4. Business Integration; how will the transformed business connect to the existing processes? 5. Ecosystem; what support do you have from suppliers and others in the value chain? 6. Value From Data; are you capturing the right data and analysing it at the right time? These may appear to be obvious points that any executive team would consider before a major change, but it’s worth studying each factor in more detail because digital transformation projects do fail. Often the reasons for failure are clear – a lack of agility is a classic example. If your project is so large that it may take several years to implement then it is almost certain that the requirements in a couple of years will be different to now. Therefore agility is essential. The increasing use of Artificial Intelligence is a good example why these six key factors are important. In the Information Age research 68% of respondents said that they had already had a positive experience of AI systems and 61% expected AI to be creating new jobs in the near future. That 68% figure is quite high for a technology that is often talked about as a trend for the future. Technologies such as AI are becoming very important in the present-day business environment and many of these emerging technologies will lead to a fundamental change in business models and the competitive landscape. But digital transformation is not just about the integration of emerging technologies into your existing business processes, it is the enabling of new business models or services through the use of technology. These six factors identified by Information Age really do speak to the way that a digital transformation project should be approached. Kodak was researching digital photography and yet they never saw Instagram on the horizon – digital transformation can completely change entire industries in a short period of time so this is an area of strategy that is essential to get right. As you might expect from a system that is focused on automation, the focus is on saving time, improving quality, and reducing risk. RPA is often talked about as a technology that can replace people, but it is smarter to think in terms of how it can help people to do their job better – to always remain inside compliance regulations or to consistently deliver processes without errors. A car manufacturer offering a bot that could answer questions about their vehicle, such as what a light on the dashboard means. Additionally the messenger bot maintains a relationship with the customer and sends reminders such as when it is time for maintenance or tasks such as an oil change. A recruitment company used a bot to analyse CVs automatically and submit only those meeting all the required criteria. This allowed the recruitment consultant to scan far more CVs than would be possible manually. A bot that could add information on music concerts to a website focused on music events. Instead of manually Googling for information on events and then copying information to the database, the bot could just search and populate the database automatically. What’s interesting here is that these are all very different projects, but they previously required a large amount of repetitive manual work – especially the recruitment and music examples. In these examples, people would be performing repetitive manual searches many times. The bot allows them to focus more on the search results, rather than wasting time performing the searches. The car example shows that with a little thought, an existing process such as sending reminders to a customer can be performed in a more interactive way that actually should help to build a closer brand to customer relationship. HfS Research believes that the RPA market will be big – around $1.2bn by 2021 – but they also exercise some restraint. HfS believes that many of the predictions linked to RPA are ‘ridiculous’ and typical of the hype we see whenever a new technology becomes trendy. This is always a danger when new technologies become popular. They are often seen as a solution looking for a problem. Executives start asking why we don’t have an RPA strategy without identifying where RPA can actually help to improve their business processes. However, as the IT Pro case studies demonstrate, it is possible to take specific processes and to automate them so quality and efficiency is improved. RPA is not about a robotic takeover and a complete end to all manual work, but it is an opportunity to dramatically increase efficiency in any part of your business that suffers from a need to perform repetitive manual tasks. It will be an important business strategy, but let’s stop framing discussions about robotics with ‘Terminator’ images. Click here for information on how IBA Group can help design an RPA solution that works for your business. CRM; Customer Relationship Management systems are increasing automated and help brands build a better relationship with their customers by having a better understanding of customer needs. ERP; Enterprise Resource Planning has become increasingly important as complex supply chains need products to be delivered just-in-time to the right place. RPA; Robotic Process Automation is allowing companies to automate large groups of processes – especially in the back office. Contact centres; the traditional link between brands and customers is increasingly complex now that omnichannel service is becoming a customer expectation. Data analytics; Big Data and expertise in studying customer behaviour is becoming an important way for brands to personalise the service they deliver. AI; Artificial Intelligence is helping many brands to predict what customers will want, either to help improve the supply chain or to create a more personal service. VR and AR; Many brands are exploring how Virtual and Augmented Reality can help customers locate more detailed information on their products. This is just a short an immediate list, but the implication is clear. The customer to brand relationship is far more complex than ever before and it is increasingly these technology systems that are providing the ammunition for brands to improve their customer experience. IT service companies and advisors need to be increasingly aware of how important their role now is in creating a great experience for customers. Many of these technological changes are helping smaller specialist companies to compete with the major players. Look at the Facebook Messenger and it’s automated bot system for one good example. Even a very small brand can configure the system to offer 24/7 customer support using automated bots – something that would have been unthinkable for a small company to offer just a couple of years ago. Several major technology systems, such as CRM and ERP, have driven large parts of the technology industry in the past, but I believe that now the main driver is CX. Customer expectations on brands are increasing constantly, leading major companies to explore how they can deliver a better service than their competition. Likewise, many of these technologies are moving from just being used by early adopters to being more universally accepted – look at how Ikea now allows customers to view furniture using an AR system before purchasing. The message is clear for IT experts – CX is going to drive your business for the next decade. Make sure you are tuned into what the CX experts are saying and what the upcoming CX trends are going to be, because many of them need IT expertise and that will not come directly from companies with experience of customer service. How Is RPA Really Changing Your Business? How is automation such as Robotic Process Automation (RPA) changing your business? I’ve written here in the past about some of the automated solutions IBA Group has delivered to clients and how the use of automation can streamline various business processes, but what is the wider effect on a business when some processes can be automated? 1. Faster time to market; products and services can be delivered faster when a part of the value chain has been automated, allowing quicker delivery and an improved time to market for new ideas. 2. Productivity boost; more can be achieved with fewer resources, so the same team can boost what they were delivering before automation. 3. FTE requirements; if a significant part of your business processes can be automated then logically the number of team members required to process this information can be reduced. But these are just the immediate effects, based on improving processes so everything works faster and more reliably. There are some additional changes that may not be immediately obvious, or even planned during the RPA transition, but will soon become important to any organisation that uses RPA. The focus here is on the time after your RPA solution has been installed and is operational. Now that a significant section of your business processes are automated, how can you leverage on this achievement? First is the ability to transform the business. Many industries are experiencing a wave of rapid change at present. Change really is the only constant for almost every traditional business model. Look at banks becoming apps, or news publishers searching for a revenue stream. Many traditional industries are finding that they need to change in order to survive in a very different business environment. If a significant part of your business can be automated then this facilitates innovation in the rest of your processes. Streamlining the processes you have yet to automate is another significant advantage. Once you can see just how much of your business can be automated, there is a strong temptation to increase the processes your business manages using RPA. It’s important to create a period of stability once RPA is initially rolled out, but after that expansion should be encouraged. Tools like RPA are often talked about as a way to streamline a business, or reduce cost. It’s rare to hear the opportunities for a complete transformation mentioned, but this is where automation is heading – one day it’s going to redefine what your business does and how all your services are delivered. On May 17, IBA Group celebrated its 25th anniversary with a big celebratory event in Minsk, Belarus. Located at a picturesque lake, the venue included indoor and outdoor entertainment zones. Guests had a chance to interact with robots, try a variety of fast food from food trucks outside the restaurant, or indulge in molecular cuisine. They could relax and sit on bean bags, have a walk on the riverbank, and chill out inside the restaurant. The newly gathered band Soft Skills, which consisted of IBA Group’s employees, performed for the first time to the public. Covering a kaleidoscope of hits, the band acquired a number of fans among their colleagues and was greeted with enthusiasm. However, the real highlight of the celebration was a live set of the Belarusian State Academic Symphony Orchestra. 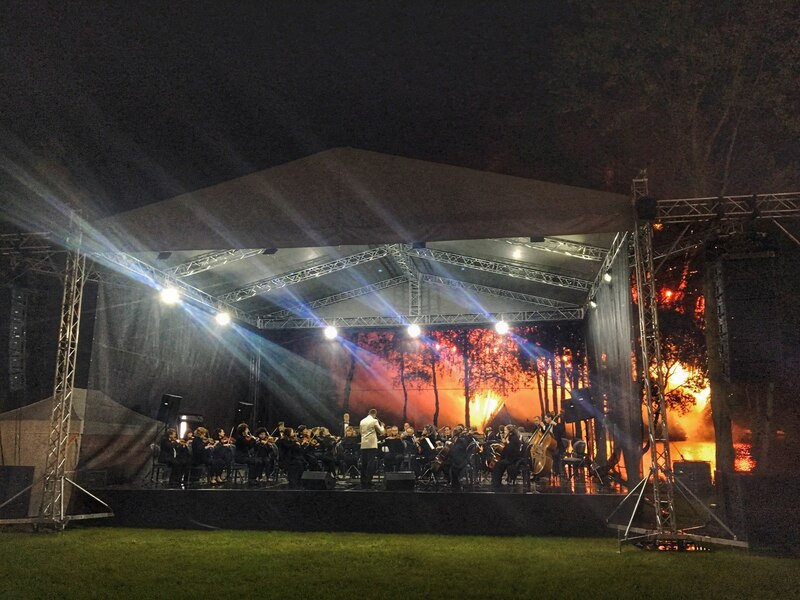 Performing on the riverbank, the orchestra played a number of classical pieces, as well as soundtracks of modern movies and TV shows, such as Skyfall, Pirates of the Caribbean, and Game of Thrones. When the music started, the night sky of the lake lit up with fireworks, making the orchestra’s performance truly magical and unforgettable. In his speech, Sergei Levteev, IBA Group CEO, thanked the company’s customers and employees, saying that 25 years many people doubted the company’s success, but IBA Group overcame all obstacles to be where it is now. The party concluded with a discotheque, where employees of IBA Group could dance the night away to the sound of electronic music. Technology is inherently democratic in nature. There are very few countries in which a person cannot take an interest in IT from a hobby all the way to a prosperous career. However, the global technology services market has never been more competitive, and standing out in a crowded field is challenging at best. This is where forward-looking stakeholders in Belarus are coming to the forefront, in the provision of various technology offerings that are definitively oriented to export markets across the globe. The Belarusian economy is steadily being moved toward technology, and there is a quiet confidence among its players that it will be successful in this modernizing agenda. What immediately strikes any business visitor coming to Belarus is that the country is truly connected. It should be remembered that Minsk was designated as the USSR’s technology hub in the 1970s by the then-Soviet government, and this culture continues to permeate. With an estimated 100,000 IT experts living in Belarus, there is a vibrancy in the country’s atmosphere. Conference rooms and cafes bristle with lively discussions that take on both tech and entrepreneurial flavors. And, forward-looking leaders in this space have laid the groundwork for both ongoing development and profit. Consider the recently completed Hi-Tech Park Belarus, a modern facility that acts as a strategic incubator for entrepreneurs across the IT value chain. Current tenants include application developers, hardware manufacturers, and prospective disruptors, many of the latter focusing on crypto-currencies, an area in which Belarus’ IT sector is targeting for future growth. 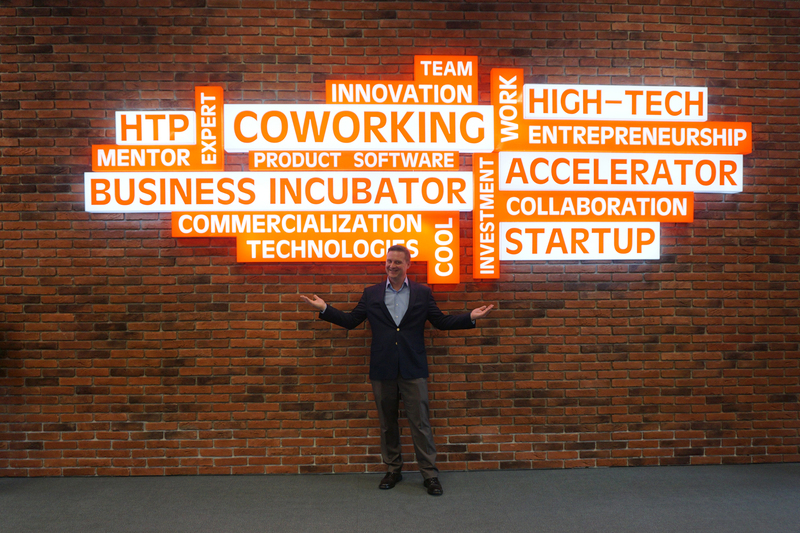 Each takes advantage of recently-passed tax abatements designed to help boost Belarus’ IT space. Housed on the outskirts of Minsk, such a development would easily fit into Silicon Valley or Austin’s technology hub. But despite being uniquely East European in its flavor, the aim of the majority of this initiative’s members is to firmly implant their products and services in western markets. And, based on historic precedent, there is reason to believe that they will achieve this end. The ongoing success of Belarus-based IBA Group is testament to the opportunity that technology players from this country can find overseas. With a list of services ranging from transportation management solutions through to RPA for leading financial services providers in South Africa, this company (which incidentally recently celebrated its twenty-fifth anniversary) has become an example of how IT services can be successfully exported from an emerging European location. That IBA Group has recently opened a brand new campus in Minsk’s technology hub speaks to its success. Read the full article at Ryan Strategic Advisory. I recently bought a Furbo. It’s a device that started life on the crowdfunding platform Indiegogo. You fill the Furbo with small dog treats and when away from home it’s possible to watch your dog using the camera and toss those treats remotely. It’s also possible to speak and listen to what your dog is ‘saying’. It’s just a fun device, but it is also one more connection to the Internet. Our homes are becoming filled with connected devices and slowly our home environment is becoming far more technology-enabled than any office, where the focus is still on connecting little more than computers and printers. Think about your own home environment. Do you have an Amazon Echo or Google Home system? That means you will have connected microphones dotted around the house. What about your phone, laptop, and Kindle? If you have a games console that that will also be connected and how else can your TV access Netflix if that’s not online? Much of the traditional media we used to consume in the home such as records, movies, and books is now consumed electronically. We stream Netflix to a Smart TV. We stream Spotify music to a home theatre or speaker system. We download books and magazines to e-readers like the Amazon Kindle. The connected home has slowly become a reality and is no longer unusual or cutting edge. Data published last year by Cisco estimates that by 2021 each person in North America will be using 13 connected devices. Thirteen for each person! That’s a lot of Kindles and Furbos. Naturally much of this growth is because everyday objects are gradually becoming connected. It would be unusual to buy a new car today and to find that it does not ask to connect to your wifi. Tesla cars regularly upgrade themselves when parked overnight. A new channel between products and their manufacturer has been created allowing automated updates and maintenance to take place without user involvement. Smart leaders need to look beyond the devices and think about the data. When people are streaming constant information on their location and behaviour how can your business tap into that information to create genuine value? Insurance companies are one great example of a sector that is benefitting from this move to an Internet of Things (IoT) environment. If a car driver only pays insurance for their car when it is used and they are rewarded for safe driving behaviour then that helps the customer and the insurance company. Insurance is being redefined by this real-time data on the customer. How is your business reacting to this connected environment? Can you see the opportunities or does it just seem like a threat to the established way of doing business? Last year the analyst firm HfS Research published a cautionary article on Robotic Process Automation (RPA). They warned that the technology and outsourcing market was hyping RPA beyond what it could possibly achieve – the talk of RPA changing the world is all hype. This should be qualified by the more nuanced comments published by HfS. They stated that the RPA boom has been hyped, but not the more general focus on business automation. So the blogs and business journals that keep on breathlessly saying that bots will transform companies need to examine just exactly what they are saying. RPA cannot exist without a wider transformation of how a company functions. Companies today need real-time data that converges across business functions. You cannot have a marketing database that is not connected to data your customer service team is using. You cannot drive business value today without your business data being real-time and accessible from across the entire business. The hype around bots is that all this is automatic; but if your company still relies on paper documents then how are the bots going to process that data? To create a truly automated organisation requires more thought and planning than just the deployment of a bot in the back-office. As more processes are digitised, more value can be created. More insights can be found. More opportunities to set bots searching for trends are created. HfS has actually been saying this for a long time and they have a digital office solution called OneOffice that broadly defines how organisations need to plan operations – if they want to use the data flowing through the company. The real message is that RPA itself is not hype. There are many excellent examples of RPA deployments that have achieved genuine efficiencies for the companies using it – including customers of IBA. However, the idea that RPA is a silver bullet that can automate your business processes, making your team super-efficient overnight, is certainly hype. RPA is just one part of a transformation to a digital business environment. It is one tool in a complete arsenal of change related to the way that data is used. We need to see a convergence of data analytics, cognitive solutions, and RPA. Big Data is another term that is often tossed around with very little understanding, but it needs to be understood by leaders. Big Data and data convergence are not just referring to smarter ways of using data. We are talking about the complete digital transformation of organisations so that data becomes the most valuable asset. Many people have been shocked to recently discover just how much data Facebook has on their personal likes, dislikes, and preferences. It shouldn’t be a surprise. Facebook has offered a free service for years in return for data. That data allows them to know their customers inside-out, creating advertising opportunities that the traditional advertising industry cannot match. Facebook has redefined how advertising works and major advertising companies are struggling to keep up. Whatever your business, you need to think about how data flows from customers to you and how it moves inside the organisation. How can you leverage this knowledge to create new opportunities – even a new business? RPA is just one ingredient and can help to automate some processes, but thinking about RPA should really just be your first step towards a complete transformation of how you are using data in your company today. Chatbots have faced quite a challenge. Initially they were embraced, especially when Facebook championed how they could allow small companies to be available to customers 24/7 without the need for a contact centre. However, many customers and companies have also complained that they often fail to live up to the promise. The Artificial Intelligence (AI) systems are just not good enough to replicate interactions with a real person. But a recent feature in Financial Review magazine explores how chatbots are really just the beginning of a long journey into AI. Perhaps we should review our expectations and remember that we are only just starting to use these technologies for real business solutions. Mistakes will be made, but when the technology is effectively deployed it really does work. Take a look at the National Australia Bank deployment of a chatbot to answer customer questions. The bank focused on the most common 200 questions that customers ask and the bot can recognise all these and another 13,000 variations of the same questions. Commonwealth Bank launched a chatbot in January of this year and by the end of the year they predict that it will understand 500,000 different ways to ask about 500 different banking processes. The bots are learning. They are applying Machine Learning principles so that every interaction with a customer becomes an opportunity to learn and improve. This is very important, because many of the executives who have been critical of AI systems have not allowed the system long enough to learn how it needs to behave. Organisations that need to interact with their customers often, like banks, will find that an enormous amount of basic enquiries can be handled by bots and customers will prefer interacting with bots because they get immediate – and accurate – service. AI has proven beyond doubt that it is more than just a fad. The smart use of a chatbot system is the first step on a path to creating a much more automated customer experience – an experience that most customers will prefer because of the immediacy of service. Click here to learn about IBA Group’s EmailBot Solution. What is RPA And How Can Automation Change My Business? Robotic Process Automation (RPA) is the automation of business processes using software ‘bots’ and allows simple, repetitive tasks to be performed by computers rather than people. RPA covers a wide range of tasks, such as sorting incoming email, responding automatically to chat messages, or extracting useful information from documents using Optical Character Recognition. RPA offers a great opportunity to streamline your business processes. The wave of Business Process Outsourcing (BPO) that has taken place over the last two decades means that executives are much more familiar with the concepts of workflow – determining how different parts of your business exchange information and interact. This awareness was built up as companies realised that some processes could be performed by a partner through outsourcing. To make these outsourced processes work it was important to define the information interface between the client company and the supplier managing the processes. This knowledge can be translated well into RPA planning. Where do you have repetitive or rules-based processing in your organisation? Can you create an environment where you feed information to an RPA system and allow it to perform this work automatically? 1. Optimise the time and potential of your employees by allowing them to focus on exceptions, not routine work. 2. Improve the customer experience by processing this information more reliably and quickly. 3. Achieve stronger control over your processes by ensuring that the system itself processes most work without failure – only a few complex situations need more analysis. A new report from Forrester Research suggests that RPA will add 500,000 digital workers to the US economy – that’s the equivalent of half a million real workers, but in this case it’s software bots performing the work. In 2018, RPA-based digital workers will replace and/or augment 311,000 office and administrative positions in the US, and 260,000 sales and related positions. As a result, the RPA software market exceeded $500 million by the end of 2017 and will double to $1.06 billion by the end of 2018. This kind of market growth is hard to ignore. Not only can RPA fundamentally transform your business, creating more engaged employees and more satisfied customers, it can reduce your ongoing cost of business too. Click here for more information on how IBA Group can help design an RPA solution that works for your business. Why Won’t Robots Replace Human Workers? The business journals used to say that outsourcing and offshoring was replacing the need for companies to hire people. Now it’s the robots that are supposed to be taking our jobs. Business journals and commentators across the world are suggesting that a wave of automation driven by smart Artificial Intelligence (AI) systems will largely replace the need for workers. But what is the reality? Forrester Research does believe that a big change is coming, especially to highly developed markets like the US. Their latest study on the global workforce suggested that in 2018, 9% of US jobs will be lost to automation, partly offset by a 2% growth in jobs supporting this automation – the systems need to be managed. The most impacted areas will be back-office and administrative, sales, and call centre employees. A wide range of technologies, from Robotic Process Automation (RPA) and AI to customer self-service and physical robots will change how people are hired and will create a need for different skills. Analysis by McKinsey is cautious. They warn that just because it is technically feasible for tasks to be automated does not mean that every company will do so. This is similar to the earlier concerns about outsourcing. It is technically feasible to outsource almost every function of a company, yet few companies outsource everything. McKinsey says that when planning what is possible to automate, first you need to rate jobs and tasks by their technical feasibility – is this a repetitive process that a robot or software bot could perform? For example, when thinking about manual work tasks such as a factory assembly line or food packaging are predictable and it is possible to consider how these tasks could be automated. Construction, forestry, or working with animals is highly unstructured and not predictable and therefore almost impossible to automate. Let’s consider a simple example. IBA Group created an email bot that sorts incoming emails at the customer support centres. The EmailBot processes typical customer requests, grouping these by content, sending automatic responses, creating tickets, and gathering statistics. However, even a constantly-learning robot cannot process all customer requests. Roughly 50-70 percent of incoming emails are processed automatically and the rest are forwarded to the appropriate employees. Nevertheless, in this case the employees are relieved from repetitive operations and are able to focus on more complicated tasks so value is created. But factories and manufacturing are just one part of the economy. In most developed economies services are a greater part of the economy. Here there are clear examples of how some automation can be introduced. Look at how customers in McDonald’s are now comfortable using a screen to order their own meal. Amazon has proven that an entire supermarket can be automated, so not even checkouts are required. Computer Weekly recently published an interesting study of automation that draws the conclusion that the real story is not that robots will cause jobs to vanish. Some jobs will go, but millions will also be created because of the automation. The real story is that many of the jobs we are familiar with today will be transformed. This rings true. Think about the skills needed by a finance assistant or Human Resources professional in an environment where many business processes will be automated. These office professionals need to be able to control the automation systems and improve them – the back office professionals you are now hiring probably need to be able to code software. That never used to be a requirement in HR, but it will be soon. The McKinsey research analyses over 800 different types of job and explores the possibility of robots replacing these tasks. You can read the research here, but to my mind it is the transformation of skills that is the real story – not robots replacing workers. Workers need to understand how to work with the robots and control them so they can be more productive. Is There A Difference Between Consumer IoT And Industrial IoT? The difference between enterprise IT and consumer IT has been blurred in recent years. It used to be that managers used Blackberries as their mobile device of choice because it worked better with email than any other handset – now Android and IOS are dominant for both enterprise and consumer use. Enterprise technology used to be completely unrelated to any of the systems we might use on a computer at home – think of ERP or CRM systems. Who would be building a CRM system at home, yet it’s a common tool in the office. However, now that many enterprise tools are delivered via the cloud using a web browser it feels remarkably similar to be using tools and systems at home or in the office. So is the Internet of Things (IoT) any different? The IoT has largely been talked of as an automation tool to assist in the home – the smart home where every device is connected and controllable. But how does the IoT work in the enterprise environment and should it be approached differently to the home? 1. Security; you might be comfortable capturing personal data, such as your heart rate, on devices at home and sharing that information with your own personal cloud, but in the enterprise environment systems handling highly personal information need strong protection – just assuming a password is enough is negligent. 2. Reliability; enterprise and industrial IoT systems may be deployed far from your headquarters in remote and hostile environments. You need to know that a sensor will have a lifespan that can be measured in years, not weeks. 3. Programmability; IoT systems produced for personal use at home are largely out-of-the-box solutions. Even systems that can be configured in many ways, such as the Amazon Echo used for controlling home devices, are generally used in default mode most of the time. In the enterprise environment it is critical that your IoT devices and general environment can be changed to suit your needs – the default setting is unlikely to meet your needs. This is an interesting paradox. As we have observed consumer and enterprise applications becoming more and more similar, the world of IoT remains distinct. The CIO, or general IT management, need to create an enterprise IoT strategy that moves beyond just installing systems that would be more useful in a smart home environment. There has long been a battle over the best international locations for IT and Business Process Outsourcing (BPO) locations. Analysts in this area long ago stopped arguing about the merits of specific countries and started looking at cities and regions instead, with one of the constant comparisons being India compared to Central and Eastern Europe (CEE) for clients based in Western Europe. – poor supplier performance; it’s hard to effectively control your supplier when they are so far away. Each problem may require a very expensive and long journey to visit in person – or you need to expatriate teams to oversee the supplier. – inability to realise cost advantage; cost advantages in low-cost locations are often overstated because they don’t account for errors, mistakes, and the cost of increased oversight. – time zone considerations; it can be difficult to manage a team when you only get a small window of time together each day. Emails may take a day or more to be answered and calls are very difficult. – social beliefs; especially true if your remote team is customer-facing. It’s far easier to work with Europeans if you are a European company buying services – even if they come from a different country the team will broadly have the same European cultural values. – government incentives; China and India are mature markets and the real incentives were on offer around 15 years ago – now there are more interesting government incentives in other markets. Not much of this is new information. European companies have long weighed up the value of paying more to work with European partners they can be close to, both physically and culturally, but there is a strong emphasis on the gap getting wider. The BPO and IT companies are innovating at present and developing new delivery and payment platforms and this is where many Indian companies are getting left behind – relying on the same methods of IT sourcing that were in vogue a decade ago. How do you think the India v Eastern Europe argument has developed recently? Will this change in 2018 and does the IT Pro analysis reflect what you see in the market at present? Please leave a comment here with your thoughts. Though an interest in blockchain has grown lately, not everyone knows what it is exactly about. However, the basic principle is not so complicated to understand. With a view to a rapid growth of the Bitcoin virtual currency, we hear the term blockchain with ever increasing frequency. The term has evolved thanks to the above mentioned crypto currency. Either it is an inflated bubble or a real potential, it’s undoubtedly the area that is currently swirling the global IT world and that we have to know more about. From a technical point of view, the blockchain is described as a continuously expanding network of chronological records (blocks). The network is cryptographically secured and shared among all users. In other words, it is a distributed public database of unaltered encrypted records. In the context of cryptocurrency, the blockchain can be viewed as a virtual public accounting book where all transactions are recorded. Individual transaction logs consist of the transaction data, time stamp, and a part of asymmetric cipher. To ensure public accessibility, copies of the entire blockchain (accounting books) are kept by all users. Thus, constant availability of the blockchain and the best possible security are provided. One of the key features is the verification by other users. After its creation, the record should be validated and then it is permanently assigned to the blockchain. Once the record is verified and eventually added to the blockchain as a block, it is distributed among other users. Concurrently, this block can no longer be processed or modified. The increase of investment in virtual currencies implies that in the coming years, the capital in cryptocurrencies can be transferred in more extended amounts than today. Alongside with this, we can expect the increase of demand for the blockchain use. However, blockchain has a wider applicability than just the financial industry. One of many possible use cases is a so-called smart contract. These are business contracts created automatically using blockchain. First, a distributed database finds out all the terms of the contract between a customer and a vendor. Then it determines whether the conditions have been met, uses the information from every network node, and authorizes the related payment. This revolutionary approach is expected to be used not only in banking, but also in other sectors. The blockchain area is already being addressed by some IT companies that are trying to implement different use cases of blockchain in practice. Is it your future too? Robotic Process Automation (RPA) has been talked about for the past couple of years as one of the hot trends that is about to change how companies in all industries undertake their business processes. The trend has never quite taken off as predicted, but I believe that 2018 will see the importance of RPA acknowledged by many more executives and IT professionals. 1. The systems are ready to buy; RPA doesn’t need a team of scientists and researchers. Technology experts have already built systems that are ready to be installed and configured. Look at how IBM has deployed their Watson system in a number of different industries. Tools like WorkFusion and UIPath are also making it simple to purchase the technology – all you need is to integrate the system into your workflow. 2. Case studies now exist; RPA is no longer a technology of the future. A quick online search will give information on many well-known companies using RPA to reduce the effort required inside their business processes. Insurance giant Zurich has found that they can issue standard insurance contracts to customers using RPA, with humans focusing on non-standard policies. Royal Bank of Canada has been using intelligent bots to assist with their customer service process. Just search and you are likely to find relevant case studies that reflect your own business and industry. 3. Machine Learning reinforces the value of RPA; RPA becomes even more valuable when it can shape and improve processes because of experience and learning. For example, in a customer service environment it is possible to teach the chatbot about how every problem ever encountered by a customer was resolved. And as new customer problems are fixed, the system learns more. Every time a customer asks a bot a question, the system has access to every question (and answer) a customer has faced in the past. Machine Learning allows the RPA system to continuously improve. It’s very important to note these three changes in the RPA marketplace. Before 2015, hardly anyone was talking about RPA. RPA has often been dismissed as one of those ‘coming soon’ technologies, yet in 2018 it can be demonstrated that it is now a tool that is demonstrably offering value to well known organisations. I believe that as the case studies increase and the tools become easier to purchase and integrate, we will see an explosion in the use and importance of RPA. 2018 really will be the year that the robots are coming. How Is Outsourcing Being Redefined For The Future? Outsourcing has changed so much in the past decade. When my first book about outsourcing appeared in 2004 the emphasis was largely on the cost of delivering a service. Outsourcing was a strategy used mostly to reduce the cost of doing business. That changed over time with flexibility and access to skills becoming as important, if not more, than the cost of service. But beyond this outsourcing has changed dramatically in the past decade. The way that companies work with each other, charge for services, and the way that services are delivered – it’s all dramatically different now compared to the last decade. Yet, when I browse the news I still run into articles like this. Here there is a comparison between nearshoring to Eastern Europe and offshoring to India. There are differences between Europe and India, but the arguments in this articles don’t really explore anything beyond saying that the IT companies in Europe are better, closer, and more reliable. It’s the same argument that has been made in favour of nearshoring for about 20 years. 1. Delivery options; are you delivering services via the cloud? Are you creating an app? Are you using Agile to create frequent upgrades? 2. Payment options; are you offering a freemium model where the client only pays for upgrades from a basic service? Are you offering a pay as you go model where the client can ramp up and down as they choose? 3. Partnership; the client is becoming the user and this changes the relationship from one with a master and servant to a much more equal need for partnership. These are just three key areas of change, but they are important. The delivery model, the payment model, and the relationship between client and supplier are all dramatically changing from the types of outsourcing being described in the article I mentioned. Most IT suppliers are changing fast. They have seen this change taking place in the market and they are working with their clients to deliver services using new methods. It’s a shame that many in the trade and business press seem to still be talking about outsourcing as a way to save money, rather than a way to run your business. Where Will The Cloud Go In 2018? I have said for a long time that our ideas around outsourcing and partnership with expert companies needs to change. Most of the time when commentators talk about IT outsourcing there remains this idea of the powerful client and weak supplier, hoping to get a contract at any price. Complexity; many services today are so complex that only experts can perform them well. For example, it’s not possible to internally manage the technology needed to create a great customer service platform for most organisations. So suppliers have become more important because they are the experts with the answers across all areas of business. Software As A Service; the way companies purchase their IT has dramatically changed thanks to the cloud and app store concepts. Now managers may buy software solutions without even asking the CIO because they are just buying a subscription to a service that sits on the cloud. Security is guaranteed and all they need is a connection to the Internet. The Cloud Backlash; many companies will make mistakes when moving services to the cloud. Issues of control or compliance may cause a backlash so look for examples of companies who are further down the road when seeking case studies and examples of success. The Hybrid Cloud; you don’t need all your infrastructure to be in the cloud. Explore what might be essential to keep close and what can be moved, for example important data might be safer if stored internally. The CyberSecurity Impact; cloud services are generally more secure than in-house systems, but if you have a chain of different partners then this can be a source of weakness – is your system secure at all points? I strongly agree with this analysis. It’s clear that buying IT services from cloud-based systems is the future (at least for now) but there is still plenty of scope for companies to get it wrong. The industry analyst firm Gartner has just published their view on technology trends to watch in 2018 and it makes for some interesting reading. Their research summarises the trends into three main groups: intelligent, digital, and mesh. Scanning across all the trends it is interesting to see how many are now very influential on customer experience (CX). Companies used to engage with their customers mostly through customer service functions – often just contact centres accepting calls and emails. Now there is a much more complex environment where customers expect intelligent interactions across many different immersive environments – technology is required to support all of this. Conversational Platforms; Google Home, Amazon Alexa, Apple Siri. People are getting much more comfortable just speaking to computers and expecting them to respond intelligently. Google has even demonstrated their Pixel Bud headphones that can translate 40 different languages in real-time, allowing a user to have a conversation with a person speaking another language. Immersive Experiences; both Augmented Reality and Virtual Reality are really taking off as people get used to immersion into a new world. The success of the Pokémon GO game in 2016 boosted AR and VR is seeing a huge boost as the power of the new Sony Playstation and Microsoft Xbox mean that millions of people have VR systems at home. AI Foundation; companies are finding that they can use AI to help with real problems. In particular a common machine learning and AI solution now is to capture every customer interaction – what problem the customer has and how it was solved – creating a smart system that over time learns how to answer almost any problem. The system knows about every question every customer has ever asked, and how the problem was resolved in the past. Intelligent Things; the Internet of Things (IoT) means that many more devices will be connected and online. Often this is talked about as a way to ensure your fridge never runs low on milk, but the real story is that your devices will all be talking to their manufacturer all the time, diagnosing problems and fixing themselves or upgrading – without your involvement at all. Imagine if your car can just check itself and get advice from the manufacturer automatically? Blockchain; Crypto-currencies are still a niche pursuit, but many big organisations are taking them seriously. If a large network such as Alibaba, Facebook, or Google started taking the idea of non-sovereign online currencies seriously then we could see big changes ahead in many industries – retail and banking first. What is fascinating to see now is how many technology trends are becoming ubiquitous and consumer-focused. We are no longer talking about business-focused issues such as network strategy or cloud computing. Many of these changes are driven by technology, but are being demanded by the end customers. The divide between enterprise and consumer technology is becoming very narrow indeed. As we now enter the final quarter of 2017 I’m going to think a little more about this in some future blogs – where should the IT industry be focused next year? Which 2017 Outsourcing Predictions Actually Happened? Where did 2017 go? We have just entered Q4 and the budgets for 2018 will now be in progress – or possibly already be ready. What were the analysts predicting for outsourcing in 2017 and were they right? I took a look back at a good list created by Stephanie Overby in CIO magazine. This was focused on ten key predictions for the year ahead in IT outsourcing, rather than BPO or more general non-tech predictions, however because most services are now delivered using technology the line is becoming far more blurred. IT outsourcing is no longer just focused on software development – it covers a wide range of technology-enabled services. Security is top of mind; this is especially important in Europe now because GDPR enforcement will commence in less than a year. This is a huge change to data privacy across Europe and will affect how many companies do business. Suppliers will pivot; suppliers that focused on a single area, such as software, are creating complete solutions and even branding solutions differently to emphasise that this is something new. Solutions not individual services is the answer now. Cloud as normal; this has been a game-changer. Companies no longer need convincing that cloud-based services are the way forward, they are seeking out services that need no infrastructure and can be paid for only as they are used. But the list also mentioned that call centres will fade into obscurity as automation and artificial intelligence replaces the need for human agents. This has not happened – yet. In fact the way that most companies appear to be using AI for contact centres is to enhance the performance of agents – so the agents are still integral to the call centre experience. I do expect that as voice recognition improves, we will see many more customer service calls answered directly by the AI, but it requires a very natural interaction to work well and we all know that our present-day conversations with Siri are not there yet. In addition, I would add that a major outsourcing trend that has been developing over the past couple of years was not mentioned at all. That is the focus on partnership. Partnership used to be one of those terms thrown around by sales teams and forgotten about once a contract was signed, but times are changing. Many of the services offered by IT suppliers today are incredibly complex. There is no question of comparing in-house against outsourcing because outsourcing to experts is the only way to deliver many solutions today. One analogy would be to ask, if you had more free time then would you service your own car? Almost certainly the answer would be no, because you don’t have the tools or expertise to do the job well. This is now the case in many areas of IT – it’s just not possible to deliver solutions without calling the experts and that is a big change from just a few years ago.